The financial world affects the life of all of us---this is undeniable given the events of the past fifteen years. Consequently, knowledge of and insight into this world has grown in importance and there is great demand for people with insight into financial mathematical models and the extent to which they describe the real market. Stocks and bonds are some of the basic financial instruments: companies issue stock as a means to acquire the capital they require for their investments; the stock are bought by investors, like pension funds and insurance companies, but also individuals, all looking for a good rate of return; banks participate in stock and option trading, but also write options and create other products. Attending the minor Finance you will study these products, learn methods to determine their value, as well as to understand the interplay between options, stocks, and bonds, all by using mathematical tools. Learning to work with mathematical models in a practical setting, specifically when trying to deal with uncertainty, may very well be of use to you in a much wider context. 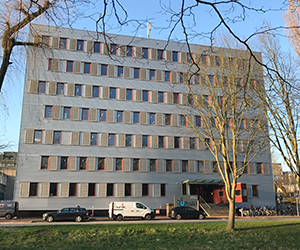 All TU Delft students, provided they possess the prerequisite skills and knowledge. The workings of financial instruments, their interplay, as well as some mathematical tools used in finance. From current events in finance to probability models to general purpose methods often used in finance. 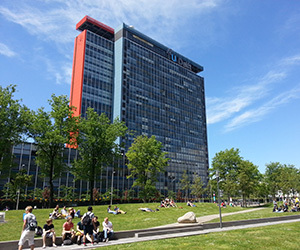 All TU Delft students, provided they possess the prerequisite skills and knowledge. Specifically required: probability and statistics at the level of TU Delft courses based on (the better part of) A modern introduction to probability and statistics by Dekking et al, or equivalent. Basic knowledge of and enthusiasm for mathematics as well as familiarity with Matlab or R is helpful (several courses require programming). has acquired skills to perform and interpret stochastic simulations. Financial products are used in two ways: as an investment and as a means of attracting investors. How does this work and how can one make smart choices? What choices do companies make to finance their ventures? While doing Matlab assignments you are introduced to the partial differential equation of Black and Scholes (Nobel prize 1997). You learn to price several kinds of options using computer algorithms. Insights from stochastic models are transformed into numerical methods to price and hedge products and portfolios. This course is at the mathematical core of the minor. It focuses on building and analysing models that can be applied in finance. An example is the stochastic model for stock or interest rate movement, which provides a basis to price American options. Many financial phenomena are modeled as time series and enormous amounts of data are available. These models are analysed and you learn how to derive and estimate important parameters, like the volatility of a stock price. Performing stochastic simulations is the central theme of this course. These simulations enable one to determine model properties (probabilities, expectations), also in case where these cannot be computed in other ways. Generic methods to do this efficiently are covered, and applied to option pricing. How do financial institutions deal with risk and what instruments do they use to control this risk? An extremely important issue, also (even more?!) for supervisory institutions and governments. This course is connected to almost everything else in the minor. Weekly discussion based on recent news from the financial world, which is analysed from the viewpoint of the minor courses. Students present problems and starting points for the discussion, as well as analyses of companies. Weekly drop-in service hour: one of the instructors is available for questions and the department aims to have work space available. Entirely optional! The registration for a minor takes place in two periods via OSIRIS. Read more about the registration procedure. "The courses are quite diverse and give a good overview of the different areas of expertise in the financial world." "The minor is set up very well, the courses are very diverse and multiple guest lectures and events were organized."